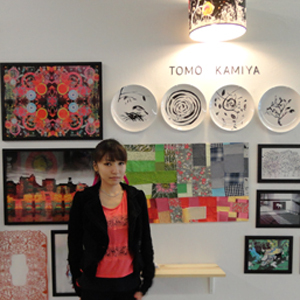 She graduated from Pasadena Art Center College of Design with a B.F.A. in Illustration in 2011.Throughout her life, she has been drawn to these two opposing worlds - the natural and the urban and it is this duality that has continued to influence her as evident in her art. Depending on how well you know her, Ohwee gives off one of two impressions, that of a 14 year old girlie girl or that of a 50 year old gangster, seeking for　world peace. "Oy. Oy. Oy! Hehehe!"